Two weeks ago, Congress was in the middle of Spring recess. So, I used that Tuesday to begin catching up after the last few weeks of craziness. I cleared out my email in box, returned a few phone calls, and made some progress on a long-term project. It was the type of day that was so productive it made the hours fly by, and with slightly shorter workday during recess, I was able to leave work at a normal time. I arrived home before Hubby and decided it was the perfect time to make matzo ball soup. So, I popped open some bubbly to celebrate the holiday and being home early. 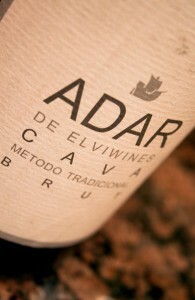 The Adar de Elviwines Brut (winery) was a medium-to-dark lemon color with a lot of small, persistent bubbles. The nose was very light, with a touch of citrus, toast, and something almost like mushrooms. In the mouth, there were lemons and grapefruits. The sparkler had a medium body and acidity, with a finish that fell right off a cliff and a metallic aftertaste that reminded me of aspartame. Is this worth a glass after work? No…it’s not worth dirtying a perfectly clean wine glass. Even at $16, this sparkling wine is not worth even a second glance. The initial taste is average, if not promising, but after swallowing it, the wine becomes undrinkable. I was hoping that this Cava was going to finally put my search for a kosher sparkling wine to an end. Instead, after a few tastes, I ended up dumping the whole bottle down the sink and enjoying a glass of the Ella Valley Vineyards Cabernet Sauvignon.